Espirito's Page - 30 Bananas a Day! Espirito replied to DURIANRIDER's discussion Can you just eat 100% fruit? "Makes sense! For now, i'm in the fruits only. Thanks for your time and help.Cheers!" Espirito replied to Anthony M's discussion Concentration/memory problems! "Hi Anthony M, do you solve this mental fog? Can you share your discoveries? :)"
"I'm testing several thing with me.For example, for me veggies is not a good thing.They cause me bloating problems, and humor changes.When i'm eating only 100 % for several days, i'm doing fine without nuts, veggies. I eat different…"
"Hi Guys.Hi taylee, did you resolve this issue? It' was the detox symptoms?I'm following the frutarian style over the 7 months, and a few days ago, i started to have this red bumps in my face. I'm a little afraid that i will have big…"
"I did another with mango.The result is not the same, but it's pretty good. " "Yes it's very amazing the taste! I'm addicted eheh You could try without the avocado... and see if it's good :) Thanks for your comment!" "Looks pretty good! Too bad avocados break me out :/"
"I'm a bit worried because i have some memory lack, concentration, some irritation. I did a blood analysis and i got: Homocysteine: 17,1 ( 5,0 - 12.0 )They are very high. i'm a bit worried because these values.Vitamin B12:…"
"Espirito Can you honestly say that you have tried masticating properly,because you don't know if you have/nt tried. When I say to salivate every mouthful properly,I do not mean the kind of a slimy saliva that some sad people have in their…"
"you had kiwi juice?Why not make a smoothie instead and let the fiber release glucose slowly"
"Open freelee page on Instagram there is the pyramid for food and draw to how combine food for best digest and it's work or search it on Google ..sweet fruit ,sub acid,acid,vegetables,starch and fat food. Try to drink a lot of water too and try…"
"I understand meadow, but with me and so many others in the forum, this is not working.You could check many people that have everything in order, and don't have success.Have gas, etc...This could be what i'm saying to.I'm very active,…"
"Espirito. I used to 'gobble' my food down but since starting to chew 20-50 times depending on what I eat,each mouthful,I don't experience any bloating or farts either. 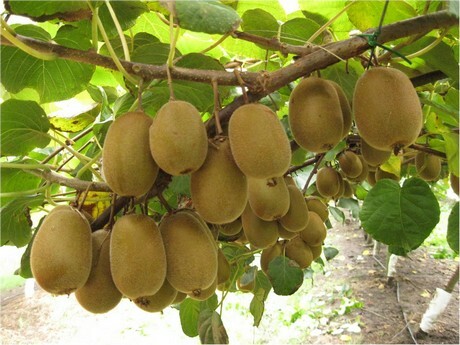 It was Gandhi who said:chew your drink and drink your food and he…"
"I discover that kiwi have actinidia ... a enzyme that aids the digestion. Maybe it's the combination kiwi with spinach ( Acids ) Well if you discover more things, please tell me.!" I was vegetarian for about 6 years, and i decided to improve my health, turning myself in a raw foodist. I discover the 80 / 10 / 10 and i was very interested. I'm here to learn and share my experiences.